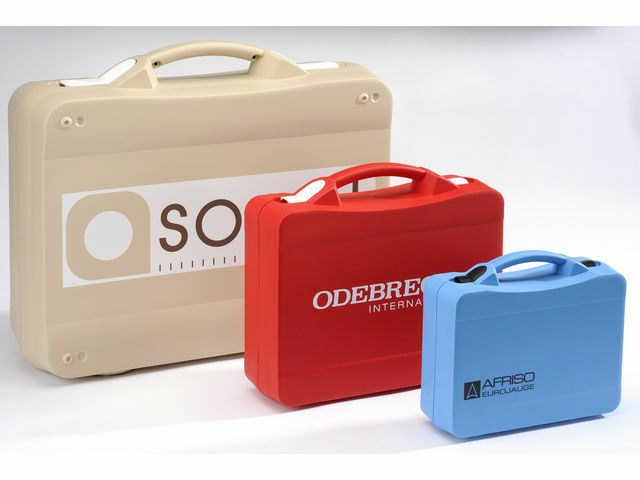 Plastic cases in polypropylene with integral handle. 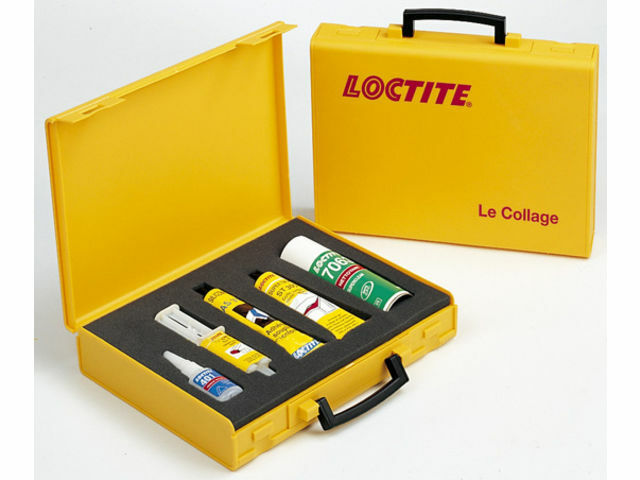 Light and resistant. 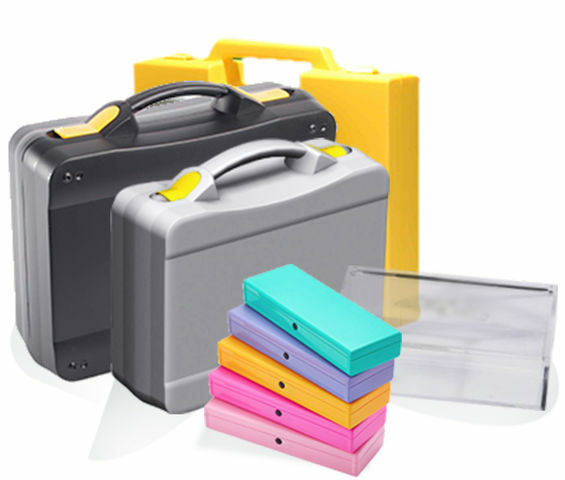 Available from stock in many different sizes, shapes and colors, those cases are customizable by printing and insert fitting. 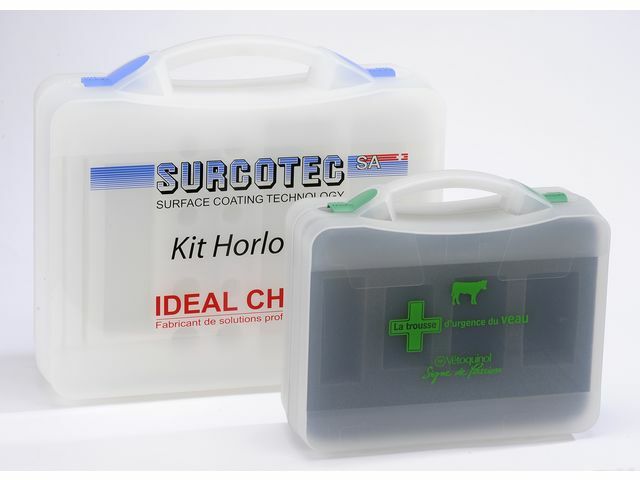 Ideal as presentation case or to gather several products that need to be well presented and protected.